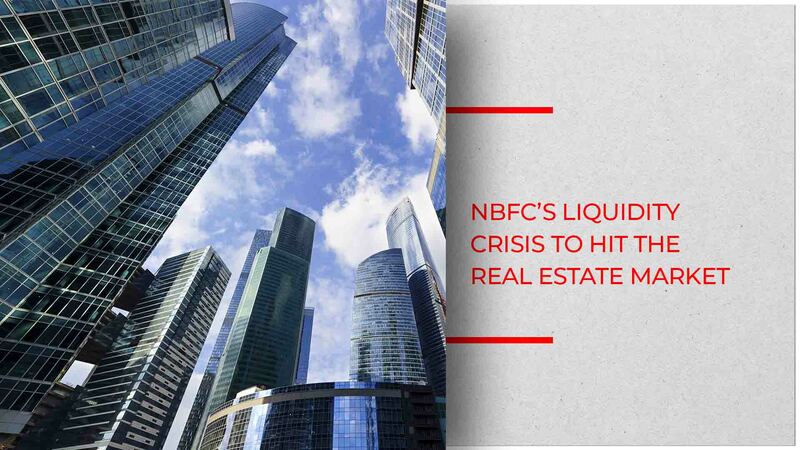 The current ongoing liquidity crunch is giving a tough time to the Indian real estate market. Infrastructure Leasing and Financial Services (IL&FS), a lending firm, defaulted on a short-term debt payment in June this year leading to this situation. Debts have been on a non-stop hike and assets have failed to break even. Given this situation, banks and other large financial institutions are playing it safe. The ripple effect of this is a steep rise in loan interest rates and a massive slump in the real estate industry which is dependant on borrowing for home building as well as purchase. In fact, earlier this week, the yield on the dollar bonds of Lodha Developers rose to 23 percent leading to a fall in the shares of companies such as Piramal Enterprises. Piramal has lent funds to Lodha. Abhishek Lodha, MD and CEO of Lodha Developers stated that the company has never delayed a payment, let alone default on bond in question. However, worry still looms over the real estate market. “The usual funding has stopped from public and private sector banks,” Anuj added. The only avenue for funds to developers was NBFC and sales. Since the last decade, due to rising prices sales have not been very good that left the real estate industry solely dependant on NBFCs. According to Prashant Thakur, head-research, Anarock, the situation looks very grim. He predicted a majority of developers will not be able to stay afloat this liquidity crisis phase. “Only developers who have income generating assets will be able to tide over this phase,” Prashant added. ALSO READ: Will 2019 Be An Apocalypse For The Indian Real Estate Industry?